I am almost done with our Master Bathroom Makeover. 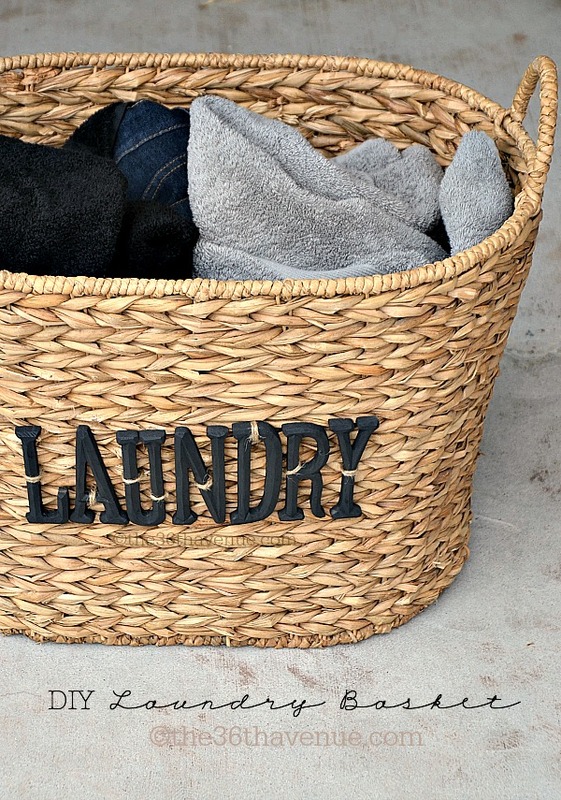 I wanted to have a laundry basket that would look good. 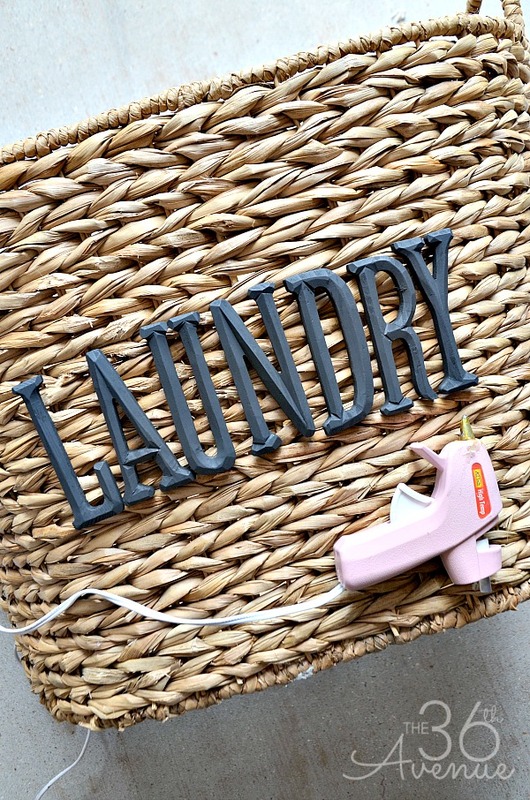 You know how much we love DIY Projects around here, so when I didn’t find anything that I liked at the stores I came up with my own. 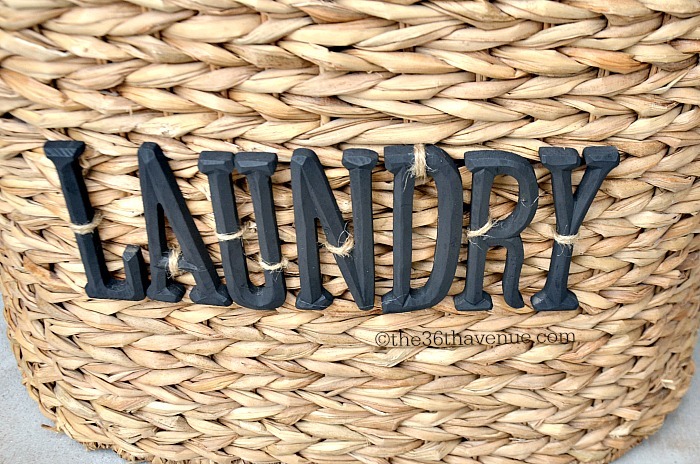 You can use this same Laundry Basket Tutorial for toy baskets, book baskets; just change the letters and have fun with it! Let me show you! 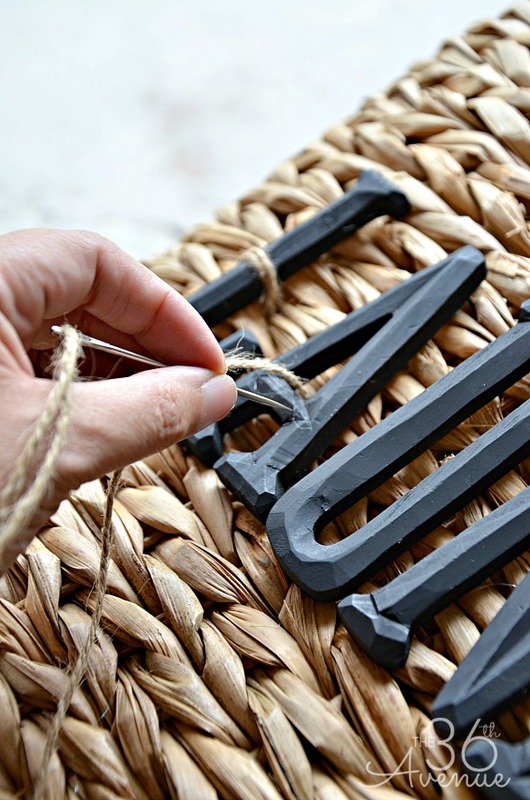 Large Basket, Wood Letters – I found mine at my local Michaels Craft Store. 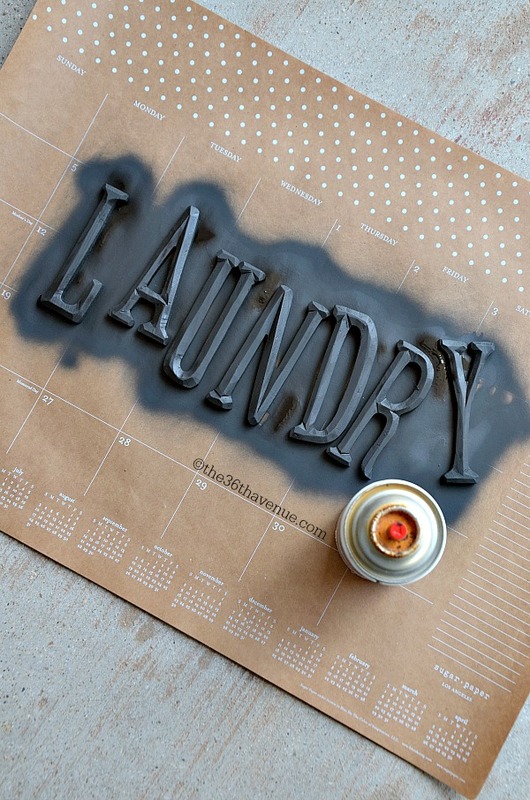 Put the letter on top of a large piece of paper and spray paint them following the directions on the can. I recommend using a flat or satin spray paint finish. After the letters are dry use hot glue to put them in place. This will make the next step easier. It is time to sew! 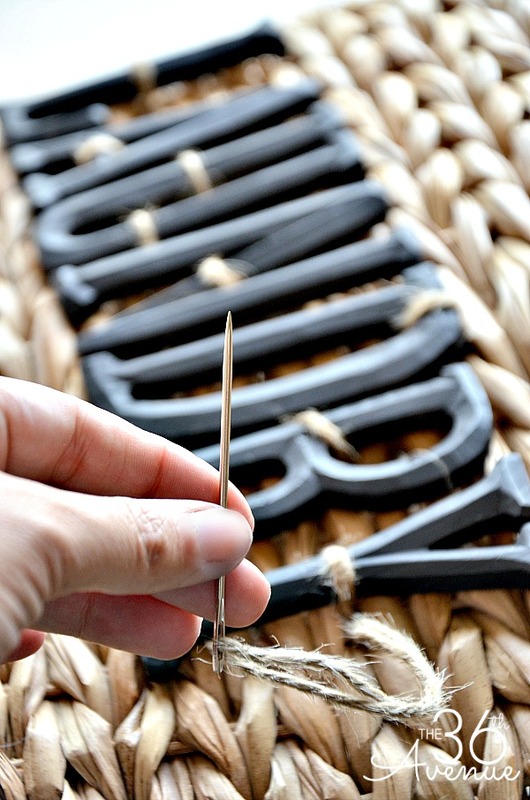 To reinforce the letters use the twine and needle and give each letter a few stitches. 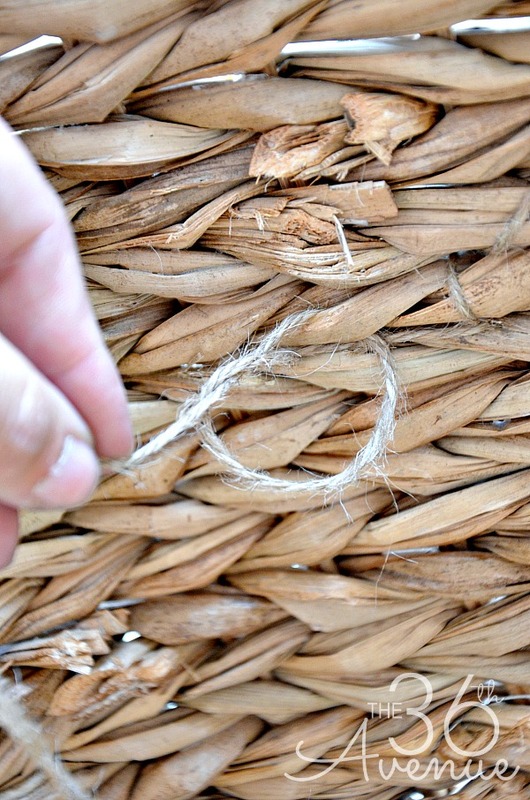 When you are done tie the twine inside of the basket multiple times so they stay in place. You will end with something like this! 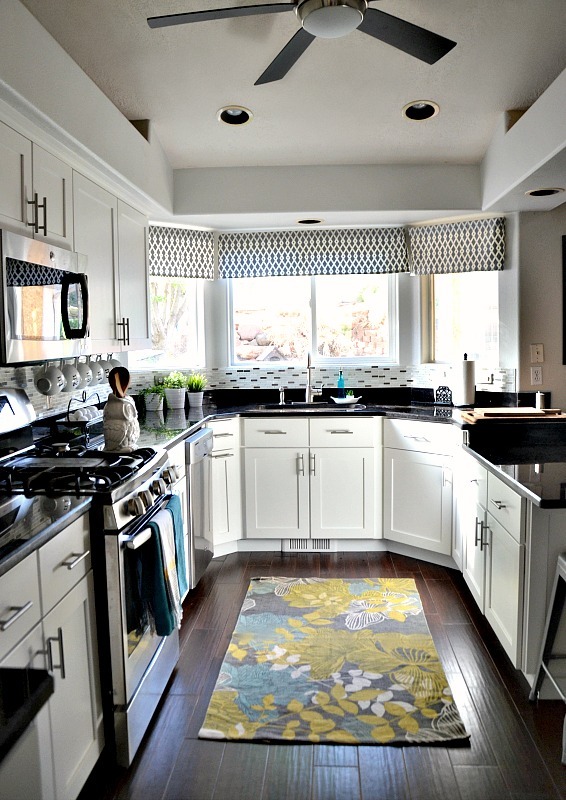 Here are some other Home Decor Ideas that you may like! 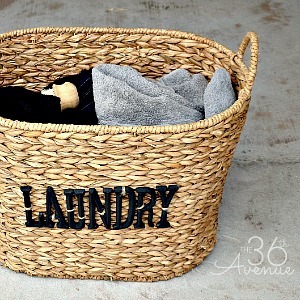 This is such a great idea for any types of baskets that you want to label- pinned! Thanks for it! This is simply adorable! 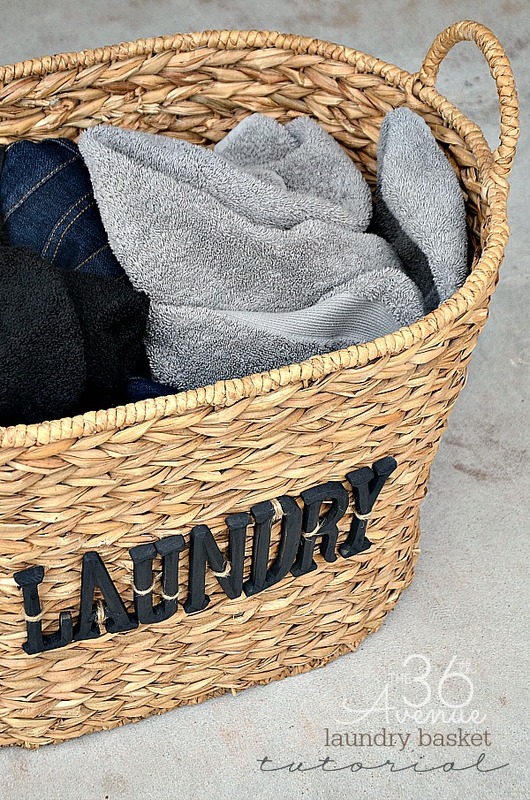 This definitely beats the ugly plastic laundry baskets! 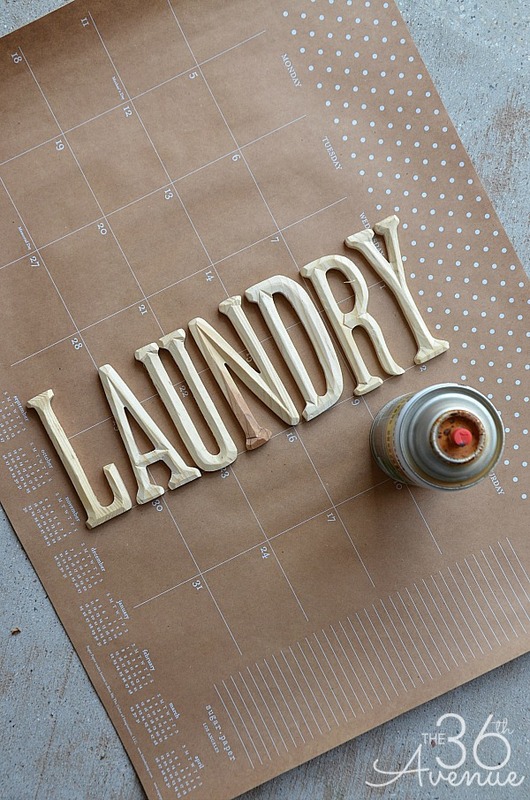 Well it certainly makes doing the laundry more fun. LOVE it my dear friend. Hugs! You are so sweet Gina… Love you to pieces! 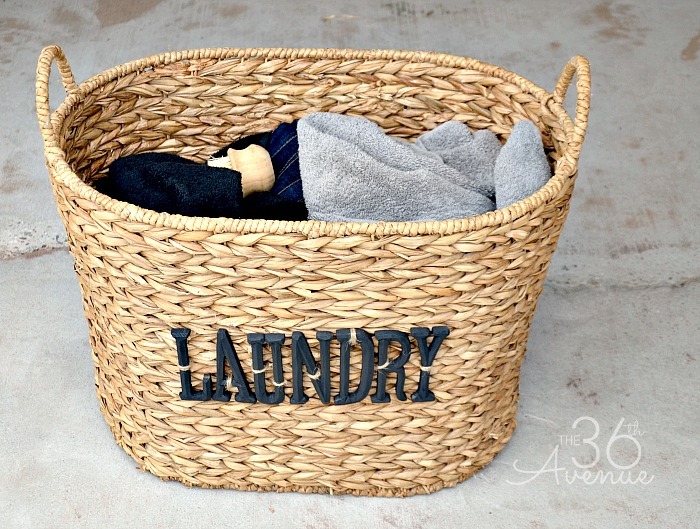 Love this basket, Desi.Very clever idea!Pinning! This is such a clever idea! I’ll have to give it a try. Thanks for the inspiration. Super smart! & So cute! I love this idea. Could be done for a toy basket, book basket, magazine basket. Cute! Cute! Cute!